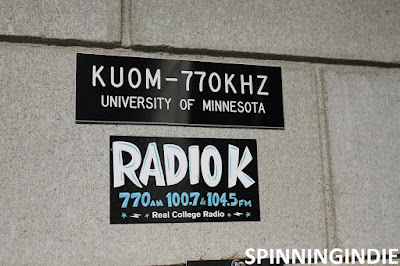 On Friday, October 23, I had a grand, three-hour tour of University of Minnesota's student-run radio station KUOM (aka Radio K) in Minneapolis. 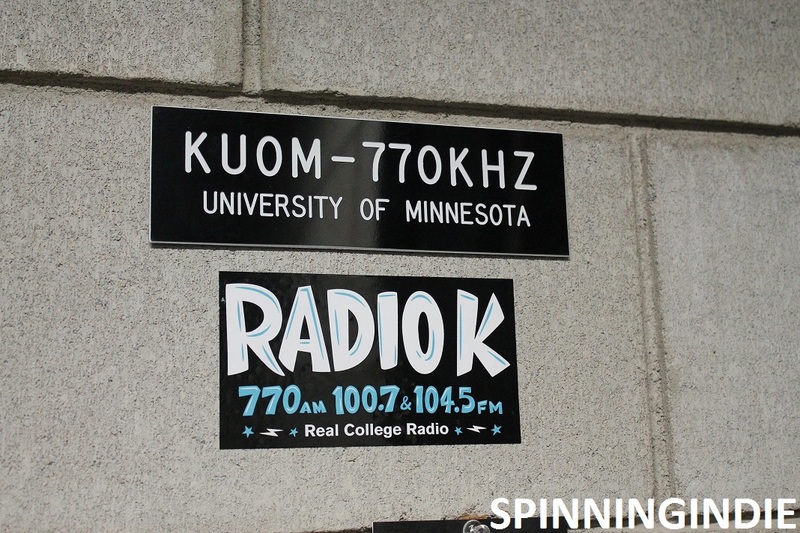 With a lengthy history (its AM signal dates back to the 1920s), Radio K embraces its past, yet also benefits from its state of the art digs. Inhabiting nearly an entire floor of a building, the station's space is full of personality, with some interesting artifacts from the past. Read my full tour post at Radio Survivor. 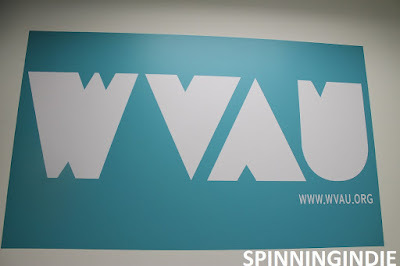 This spring, as Easter weekend approached, I made my way to American University's student-run college radio station WVAU in Washington, D.C. An online-only station, WVAU also publishes its own 'zine and regularly brings bands in to play live over the station's stream. During a family vacation/road trip this August, I traveled to Olympia, Washington and got the chance to visit college radio station KAOS-FM at Evergreen State College. Located on a beautiful wooded campus, the station gets high profile treatment, as its broadcasts can be heard by passersby while waking by its building. 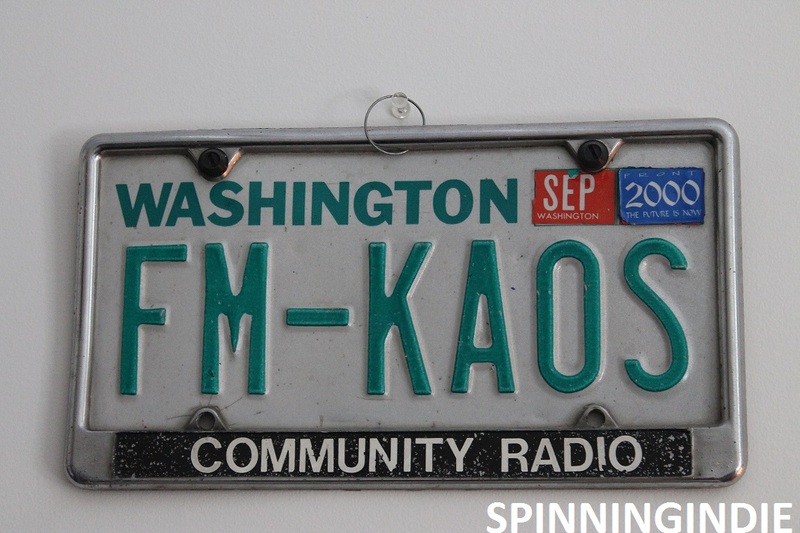 With a mix of student and community DJs, KAOS airs a wide array of programs from its spacious studios.